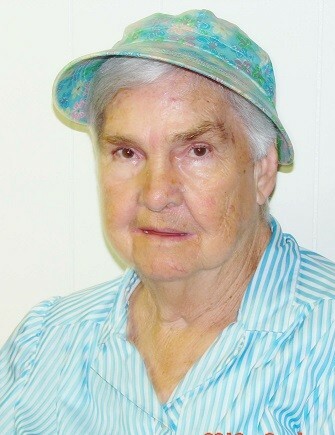 Thelma Lee Setliff Wood, 89, of Hurricane went to be with the Lord on Monday, August 20, 2018 in St. Mary's Hospital after a long illness. She was preceded in death by her husband Raymond “Basil” Wood. She is survived by her son Michael Wood (Charlene) of Jacksonville, FL and daughters Vicki Ross of Culloden and Lisa Beaver (Jeff) of Hurricane, Lora Terry (Everette King) Gallipolis OH. 6 Grandchildren 11 Great Grandchildren and one great great granddaughter. Sister Betty Qualls of Hurricane and brother Verlan Setliff of Nekoosa WI. Funeral service will be 12:00 Noon on Friday, August 24, 2018 at Allen Funeral Home with Elders Lewis and Harold Johnson officiating. Burial will follow in Valley View Cemetery. Visitation will be one hour prior to the service.